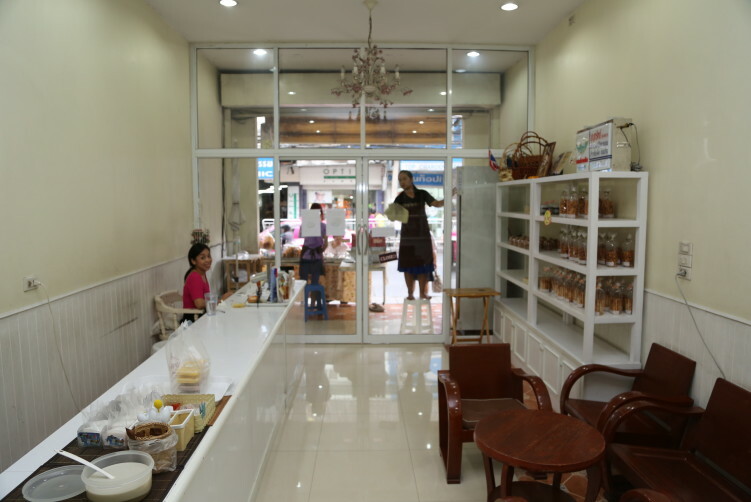 Boon Sap Thai at 1478 Charoen Krung Road is one of the more established dessert shops in the area. If you only have room for one, this should be your first priority in Bang Rak. Mango sticky rice (Khao Niew Ma Muang) is of course on the menu. They also have the prestigious Shell Shuan Shim award. 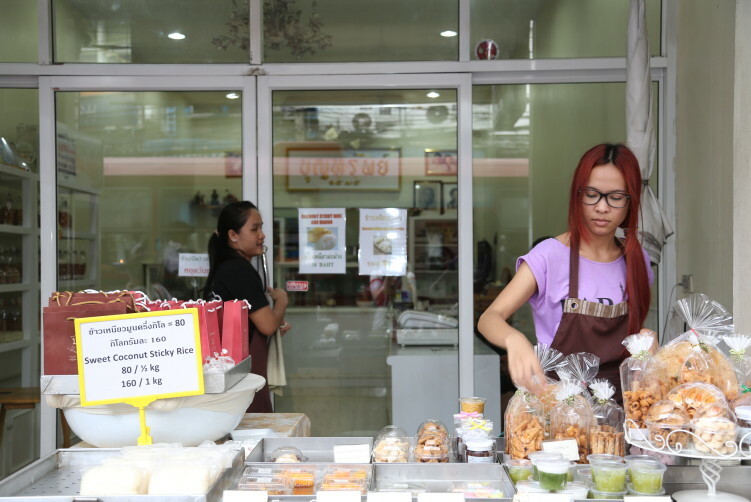 Todays owner, who left her carrier as flight attendant to make desserts, still make the same treats according to the original recipes belonging to her grandma and founder Boon Sap who opened the doors before World War II. 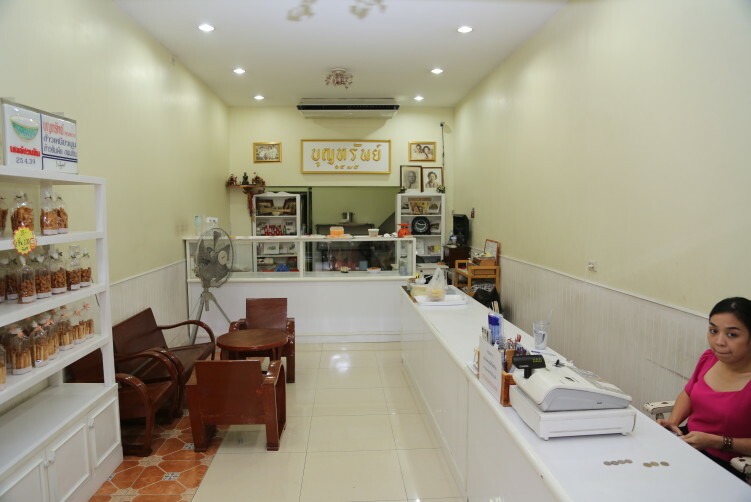 She has renovated the room to a very pleasant shop in an air conditions environment. No mass-produced desserts enter these doors. The mango depends on the market price and the khao niew (type of mango) is only available in the summer. The palm sugar and coconuts are still ordered from quality sources from the South. Also, they use no artificial coloring to copy the beautiful green color of pandan juice. The black rice flour pudding is still made the traditional way and by pulverizing burnt coconut fiber. They also have cakes and sweets like pudding with coconut topping and glutinous rice in heavy sirup. It’s good, but sweet. A cup is good for two. Boon Sap Thai have an outside table with some of their desserts on display. Traditional Thai desserts are found in abundance in the Bang Rak area, but for mango and sticky rice, look no further. They also have coffee and other beverages. Their steamed Thai custard is extraordinarily silky. I have no idea on how they achieve that fine texture, but I know there’s no coincidece, as it is the same every time. Most tourists come for the mango sticky rice, and that’s my priority as well when here. The mango’s are out of these world, deliciously sweet and not mushy. And I have to say that their coconut cream has a viscosity that really impress, extremely rich and creamy. If that isn’t enough the sticky rice is just as fragrant as it should be. It’s all topped with crispy mung beans. Can you ask for more? Yes, you can. A second portion of mango sticky rice, if you have the stomach. And don’t let me forget to mention, please taste their kanom bueng (khanom bueang), a pan-fried, crispy kind of crepe that comes with several toppings such as foi tong (sweetened egg yolk threads) and coconut. It’s small and neat and it just fills up that extra little space you didn’t know you had. Be aware that the most popular choices can be sold out if you arrive late, especially the mango sticky rice option. One of the ladies speak english. order now Price: 20 Bath and up. How to get there: Take the BTS to Saphan Taksin. Walk left into Charoen Krung Road, pass Robinson Department Store and you find it to the left, 10 meters before Soi 42/1. Charoen Krung Road (meaning the new road) was the first paved road in Bangkok and the survey and mapping of the road was headed by a British diplomat, Henry Alabaster. 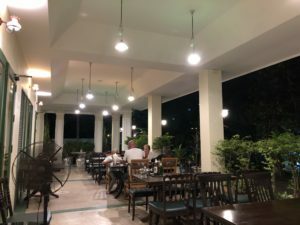 At the end of the 19th century, most urban life in Bangkok happened on the riverside, which was a busy trading quarter welcoming European merchant ships and envoys. It was during the reign of King Rama IV that foreign trade with western countries was liberalised. You find the old customs house designed by the Italian architect Joachim Grassi and built to collect the import taxes of 3 % if you walk down Charoen Krung Soi 36. It was build between 1885 and 1890. It is symmetrical in it’s architecture with arch-shaped facades. It was abandoned by the Customs Department in 1949 and was then used as the Bangkok Fire Station. Today it stands mostly on good will. 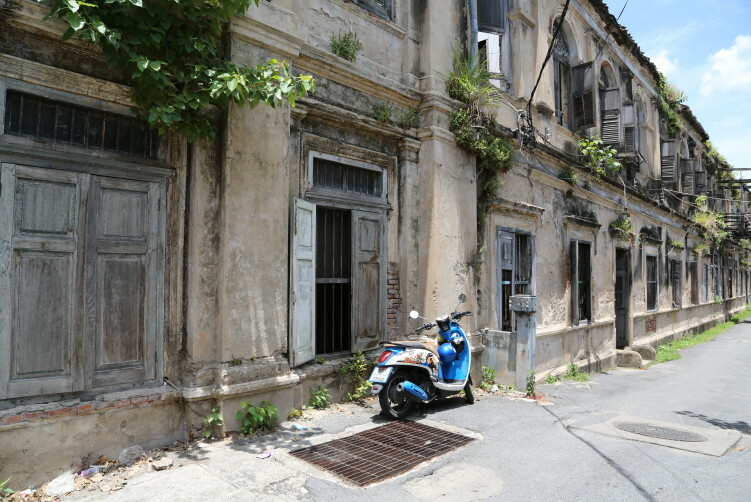 Bang Rak still has a kind of European atmosphere with many exclusive colonial-style hotels and old abandoned warehouses. The area is worth a stroll. Bring a bottle of water and take an hour to just walk around. Soi 36 is a good starting point where you also find the Haroon Masjid (Mosque) and a vibrant Muslim community, especially during the Friday prayer.